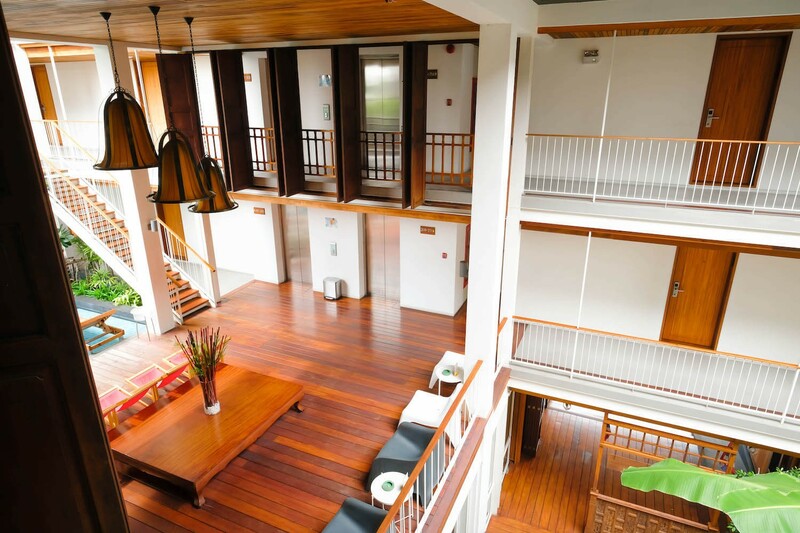 Direct Booking Promotion 10% Discount! Just enter Promo Code "nanda2019"
Special top up 10% Discount. 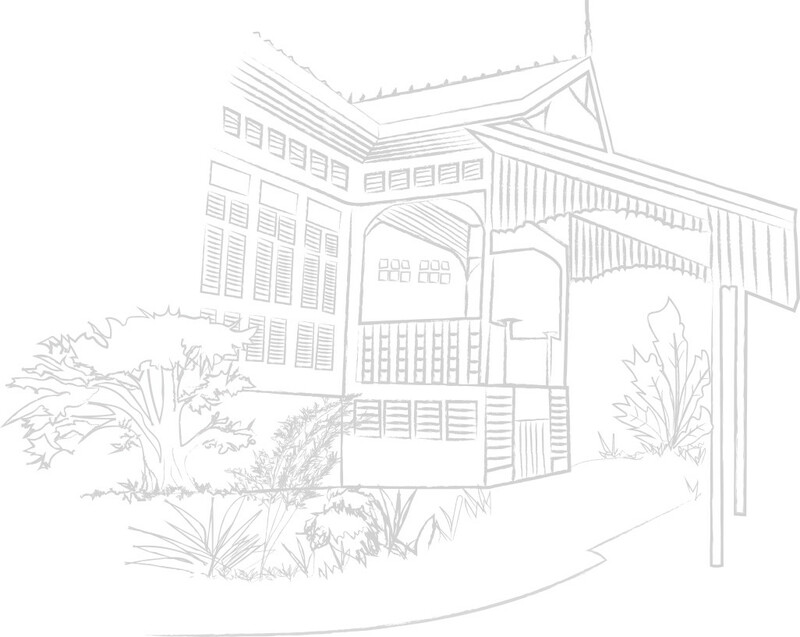 As the name suggests, Nanda Heritage Hotel is the heritage of the Nanda family. 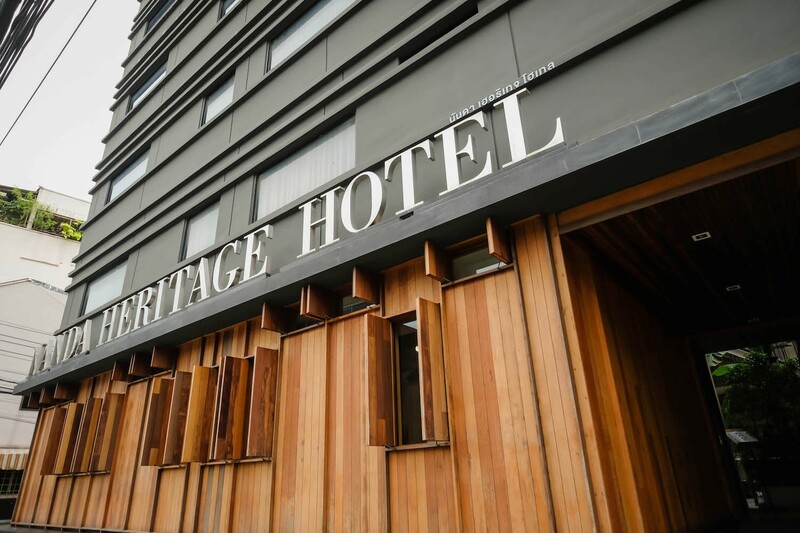 The property on which the hotel sits has been in the family for generations. 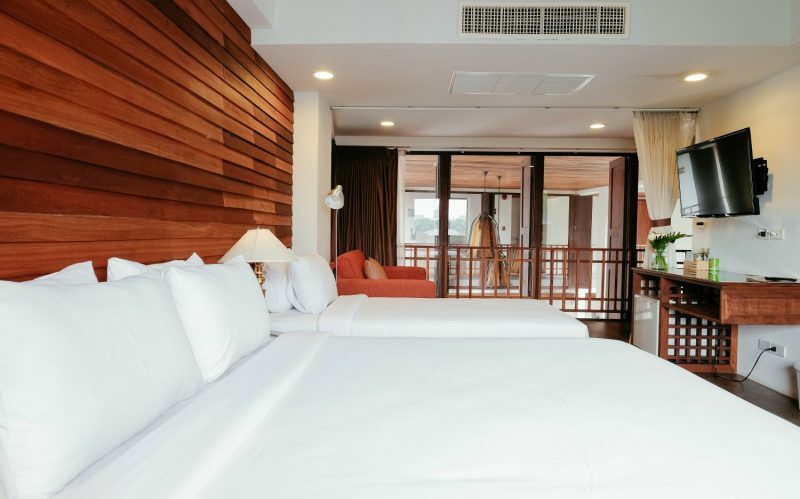 What makes the hotel so special is its unique, award-winning design that integrates original wooden components salvaged from the Nanda Mansion, the family's generations-old teak wood residence. 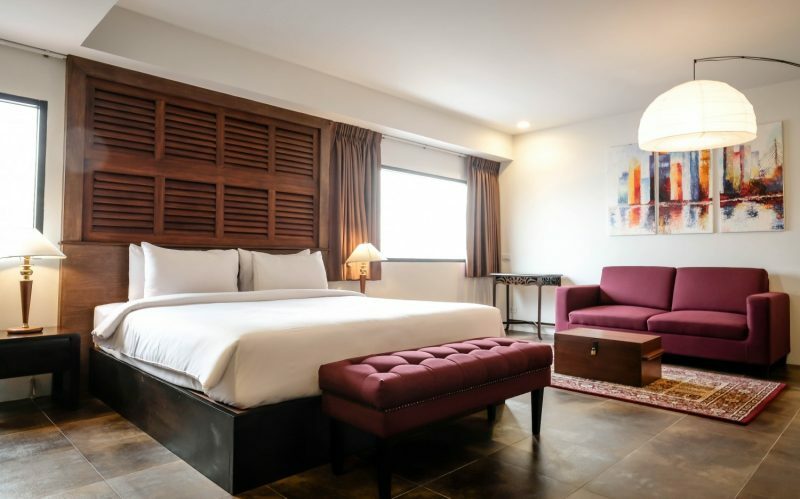 Located by the Parinayok Community, the hotel gives you the opportunity to see what genuine Bangkok daily life looks like. 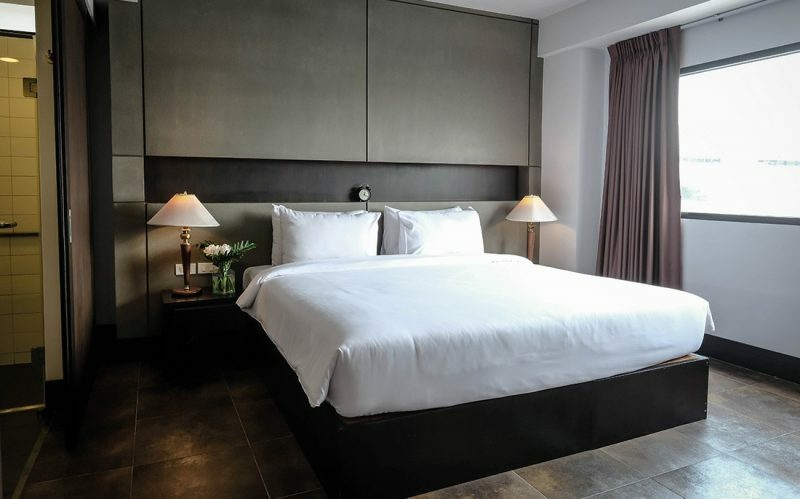 Discover the real Bangkok and enjoy a remarkable stay at Nanda Heritage Hotel. 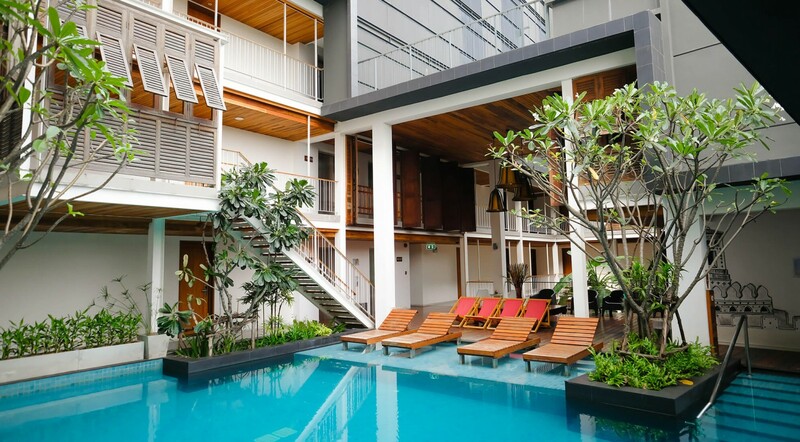 Boasting old wood components from the owner’s original mansion and designed to allow natural sunlight and fresh air, our outdoor swimming pool gives you a very enjoyable and relaxing experience. 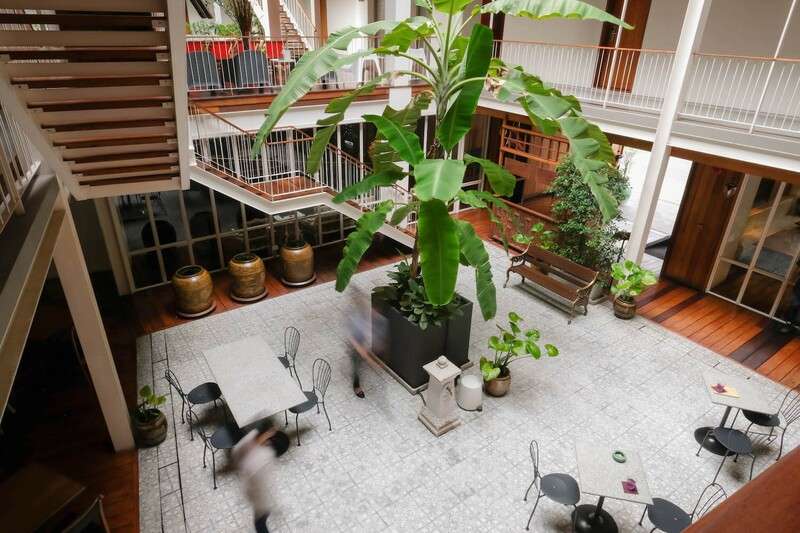 Decorated with a banana plant towering over the area, traditional Thai earthen water jars and a few other unique pieces, our lobby never fails to make you feel at home. 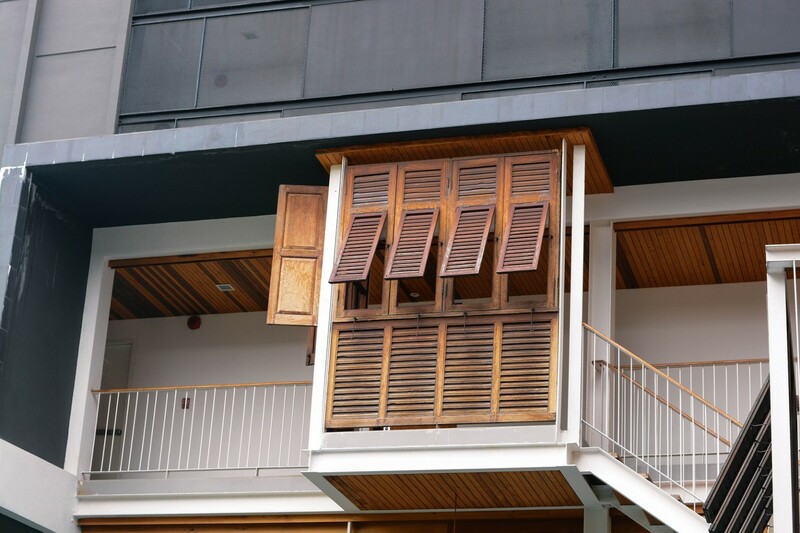 Featuring wood boards and antique furniture taken from the owner’s old teak wood mansion, our common area gives new life to all the meaningful pieces once dismantled and removed. With the recurring use of striped patterns and the use of old teak, Nanda’s living space offers the unmatched comfort and warmth. The hotel’s one-of-a-kind black outer shell responds its surroundings and is sure to trigger your curiosity. Dear to our hearts, Nanda’s signature wood carving pattern can not only be seen in our logo, but it can also be seen around the hotel, keeping our originality alive. 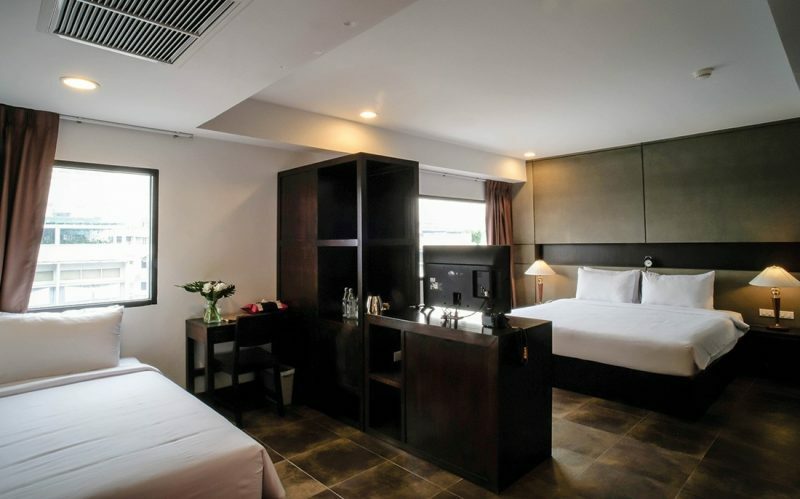 The Superior Double room features air conditioning, a flat-screen TV and a private bathroom with a shower. Interconnecting rooms are available. 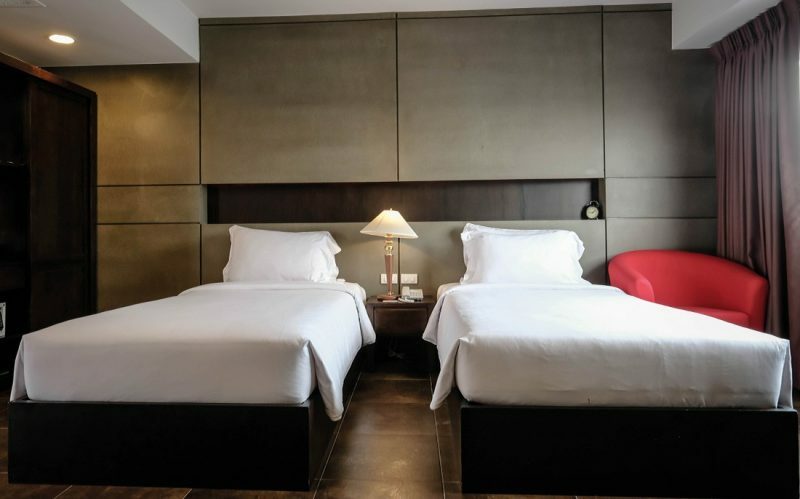 The Superior Twin room features air conditioning, a flat-screen TV and a private bathroom with a shower. Interconnecting rooms are available. The Super Deluxe Family room features air conditioning, a flat-screen TV and a private bathroom with a shower. Interconnecting rooms are available. The Deluxe Family room features air conditioning, a minibar and a sofa. 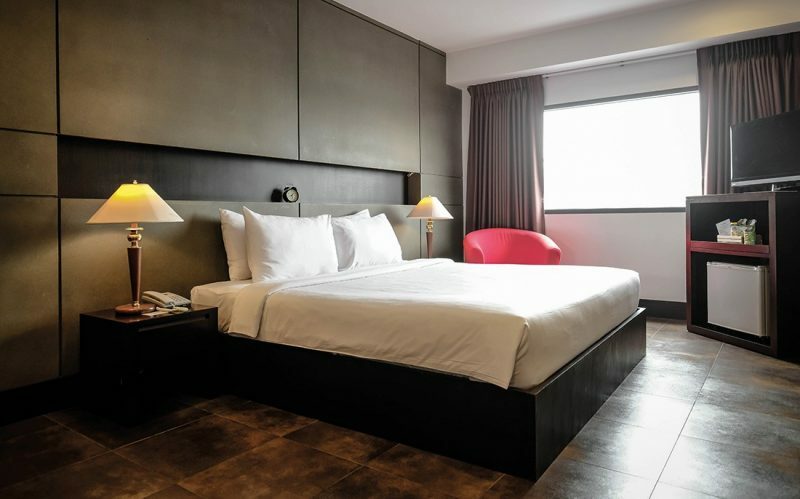 The Super Deluxe Family room is spacious and offers a city view. interconnecting rooms are available. The Suite is our most spacious room and it features a cozy sofa and a bathtub. At Nanda Heritage Hotel, you can enjoy swimming in our large outdoor swimming pool or simply sunbathing and chilling by it. 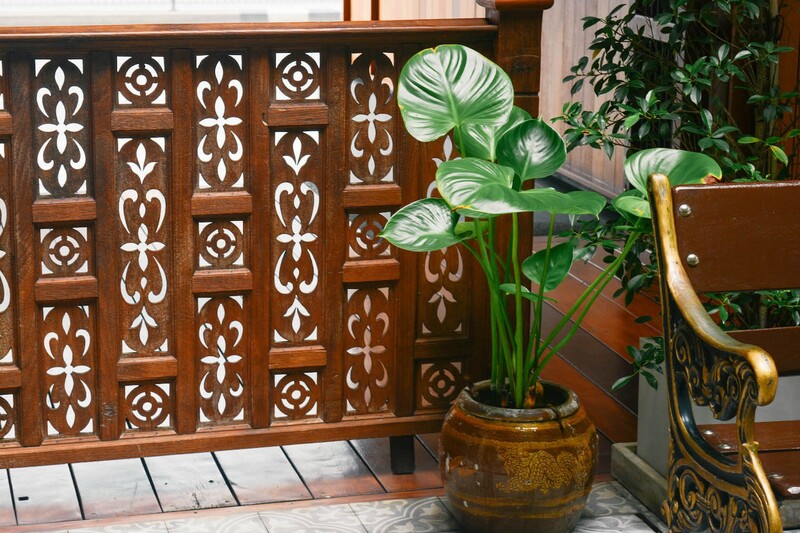 Decorated with teak wood from the Nanda Mansion and lively plants, our outdoor spaces offer the perfect atmosphere, which enables you to relax. Also, food and drinks can be ordered from our restaurant throughout the day, and you can enjoy a great selection of drinks from our bar in the evening. If you’re feeling a little adventurous, you can use our Nanda bikes and pedal your way to your destinations or take our scheduled Nanda Tuk Tuk to some of the most famous attractions in Bangkok! The main thing for me is that it delivered what it advertised and I would give it a higher review score. To be honest one of the best hotels I been stayed in a long time. From the beginning to the end everything was fantastic.